Advertising in the Annual Surfaces Issue will help maximize your trade show investment by ensuring your top prospects know you'll be there. Exhibiting advertisers will receive a free product feature and booth preview in the Surfaces Exhibitor Showcase which will be in-hands more than three weeks prior to the show. Maximize Your Surfaces 2020 Trade Show Investment with WFB. Advertising in annual Surfaces issue will help ensure your top prospects know you'll be there. 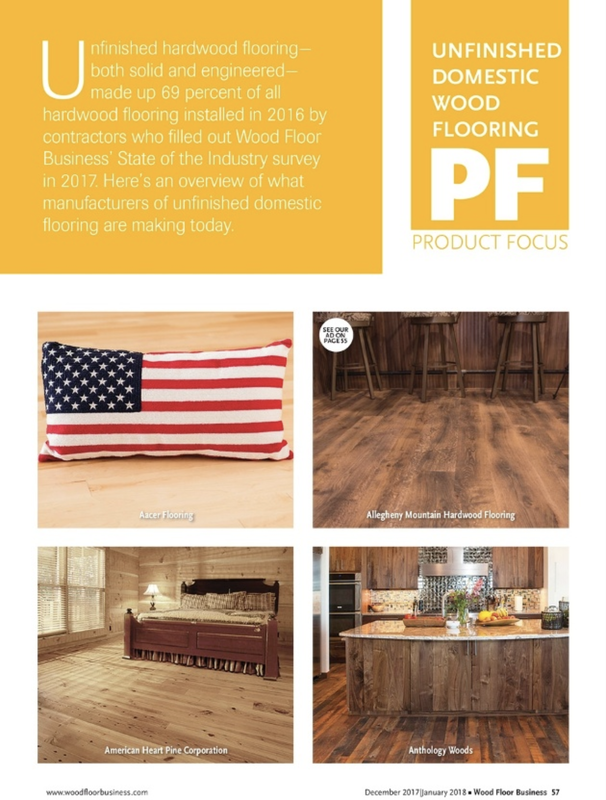 Exhibiting advertisers in the Dec|Jan issue of Wood Floor Business will receive a FREE product feature and booth preview in the Surfaces Exhibitor Showcase which will be in-hand more than 3 weeks prior to the show. 93% of readers said they find WFB useful to them in their work. At Wood Floor Business, our audited print subscriber base of 23,500 wood flooring decision-makers rely on us to find the products and services they need to run profitable businesses. Plus, our print, digital and social media marketing channels ensure that wherever your top prospects are searching for the products and solutions they need, WFB is there to deliver your message. That's why we're confident when we say "Wood Floor Business connects you to the full spectrum of wood flooring decision-makers nationwide." And it all start with print...make sure you can be found in the Surfaces Issue, coming December 2019.